Need something to do this summer? Want to get your kids reading? momstown Winnipeg has lots of events planned this summer, included Tales for Tots, where we'll read some books courtesy of Scholastic Canada, followed by crafts! I also encourage you to join summer reading clubs at your local library! Sponsored by TD Bank, the reading program is launching Canada-wide at the end of June/early July in many communities*. 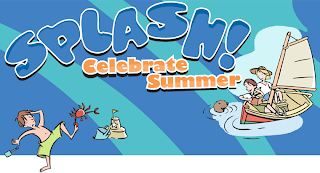 The goal is to encourage children to engage with books throughout the summer. Upon signing up, children usually receive a poster, stickers, colouring book, and a way to track their summer reading. When milestones are hit (say, 10 books read) kids receive a reward - such as a free ice cream from a local restaurant, or a pass to a local entertainment complex. 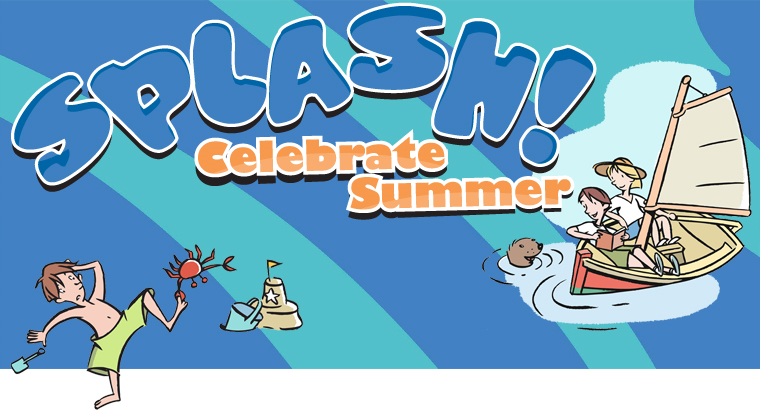 The theme this year is Splash! 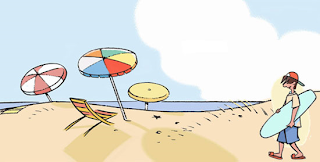 Celebrate Summer and the website has lots of links to recommended book lists (ranging from pictures books up to teenage years). An interactive kids website has been designed to engage kids in reading with online games and activities. Whatever momstown community you're part of, there should be a local library ready to engage your kids in reading this summer! momstown has a strong literacy program as part of its educational curriculum for children aged 0-5. Our kids and baby book clubs, book reviews, and parent resources help families make reading a part of their every day. So check it out. It's a great way to keep the kids busy, while having fun and learning!